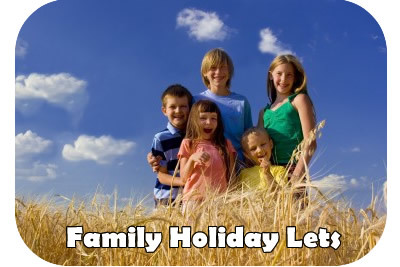 Holiday Lets UK - find quality holiday lets all around Britain. With over 20,000 holiday lets available in the UK there is plenty to suit every taste. So for one of the widest selections of holiday caravans, hotels, holiday lodges, log cabins and self-catering cottages you have come to the right place. Each type of accommodation has its own unique benefits and with such a wide choice available you are certain to find something that meets your needs as well as any budget. There are plenty of cottages, caravans and lodges suited to make great family holidays. Many parks and locations are well suited to children of all ages. Many of the larger parks have extensive entertainment and facilities aimed just for families with children. With extensive nationwide coverage of properties near the coast, in the countryside or near busy cities and towns you will find something that fits your needs. To find a holiday let please use the menu above to choose the type of let and the browse through the properties in each area. 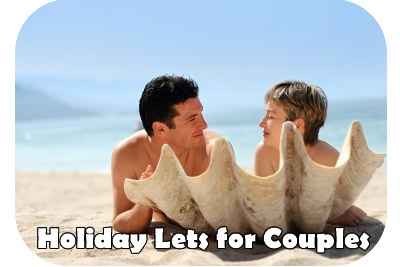 Holiday Lets are also great for couples, groups of friends. With cottages for all sizes available you can tailor holiday to suit your needs. An intimate break as a couple for example or a weekend get together with a group of mates. there is plenty to choose from. One of the largest collections of holiday lets in the UK. HolidayLets-uk.com has one of the largest collections of holiday cottages, lodge parks and caravan lets in one place. We are an independent website so are able to bring you a much wider range of holidays to you than a single operator. Once you have found the park or cottage you like just click on the booking or availability buttons to get all the information to reserve your holiday online. Much of Southern Britain has great weather – far better than many people think. Quite often there are restrictions on water usage due to the dry summers! Hundreds of miles of beaches and beautiful coastline – Britain is an Island and is surrounded by beautiful coastlines that are never too far away from where you are staying. Thousands of years of history and heritage – from the world’s most famous Royal Family to Naval history, country houses and loads more. Those are just a few of the reasons why a holiday break in the UK is a fantastic choice. We hope you find what you are looking for and have a great holiday – oh and before you go, don’t forget to book mark us and tell your friends.